Yesterday, as I was reading the newspaper on Sunday morning, I had one of those “make epiphanies” that come as a result of being part of the Making Learning Connected MOOC. 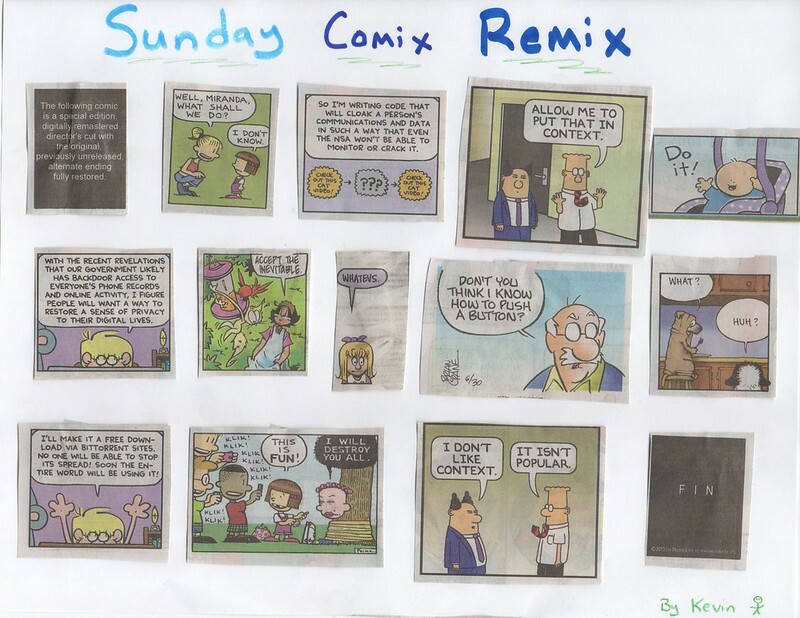 I had the Sunday Comics in my hand and I began to wonder what it would be like to remix the comics. What if I cut out frames and then put them back together, creating a new narrative? I dove with with scissors and tape, but I have to admit: figuring out how to tell a story with assorted parts from other stories … that was difficult and the thinking took me quite a bit of time. 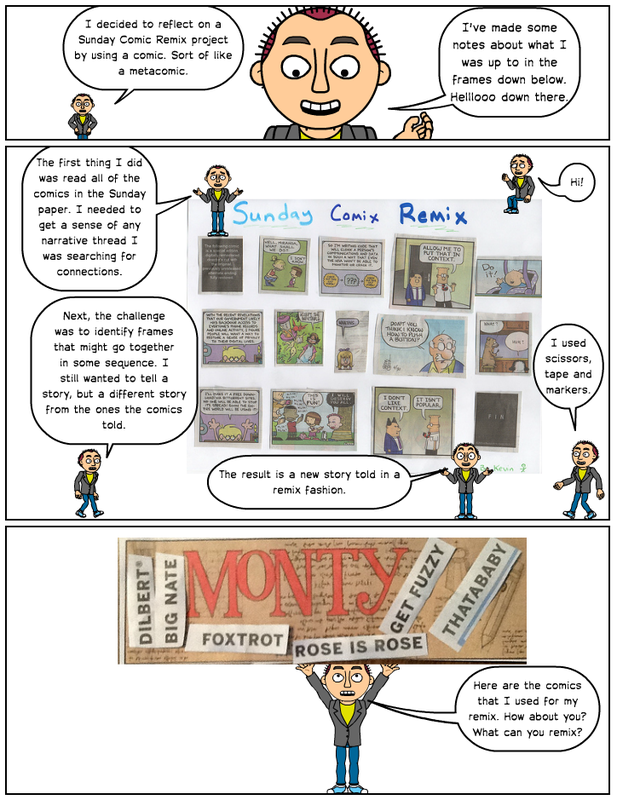 This entry was posted in CLMOOC, comics and tagged #clmooc. Bookmark the permalink.